A speed comparison between all the most popular UHS-I and UHS-II SD memory cards in the Sony A99 II. Use this guide to find the best memory cards for your style of shooting. 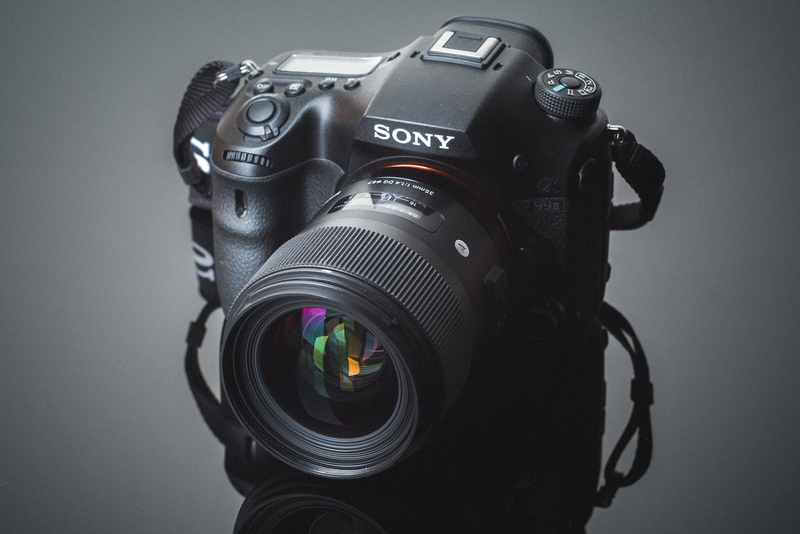 Although the Sony A99 II features Sony’s most advance camera technology in one camera, it lacks one thing, memory card performance. To compensate, they’ve packed in a massive 2+ GB buffer allowing you to take up to 25 Uncompressed RAW shots in a single burst and have eliminated the nasty Sony memory card bottleneck that is found in so many of their cameras. Unfortunately Sony has yet to adopt XQD or UHS-II in their A99 series camera. So UHS-I cards are still your best bet and the best priced. The good news is the Sony A99 II is one of the first cameras by Sony to eliminate the 35MB/s memory card bottleneck and we’re seeing speeds up to 60MB/s which is great. Here the speed results of the cards I’ve tested in the camera. Quick note: don’t buy Samsung cards for Sony cameras. For UHS-I cards the top performers were Sandisk Extreme Pro and Kingston. While the Sony A99 II does not take advantage of UHS-II cards, they do still seem to perform the best in camera. There are a few UHS-I memory cards that match the speed of the UHS-II cards. I recommend going with the Sandisk Extreme Pro, or if you find a good deal, the Kingston. I recommend not buying Samsung Cards as they have 4k recording issues. Any of my links here will send you to legitimate companies selling legitimate cards. You should not buy cards on Ebay or from other untrusted markets as you may end up with a counterfeit card. Also when you buy the cards on Amazon, make sure they also come from a trusted source since almost anyone can sell their products on Amazon these days. The Sony XAVC still seems a little picky when it comes to memory card brands. You will need to buy U3 or V30 cards, but also for some reason Samsung cards typically do not work in Sony camera shooting 4k. Sony cards are actually your safest bet if you’re willing to take a hit to performance. However, there is a new Sony UHS-II card that should be great. It just wasn’t out at the time when I tested this camera. Second to Sony, Sandisk cards very rarely give people problems with shooting 4k video. I’ve been testing memory cards in cameras for a few years now and here are the top questions asked. Can I use Micro SD Memory Cards? – This has been my most asked question recently since some of the Micro SD cards are now being sold for less money than standard SD cards. You can use Micro SD cards and they work fine if you match the brand and card type as a the regular SD cards. My problem with SD cards is they need an adapter and I often have issues with the cards vibrating or coming loose inside the adapter while the card is in camera caused memory card errors. I then have to open up the card slot and re-seat the micro card to the adapter. It’s very annoying, but only happens sometimes. I also hate how small Micro SD cards are and they have very easy to lose. Honestly, they’re not really designed for this. Do I need a UHS-II Memory Card? – No you do not need to use UHS-II cards. They will not perform noticeably faster than a Sandisk Extreme Pro UHS-I card. But you will gain a huge boost to performance when it comes to transferring data from your card to your computer, but only if you have a fast UHS-II memory card reader. What’s the difference between U1 and U3 SD Memory cards? – U1 or U3 and now V30, V60, V90 has to do with minimum write speeds. U3 is the same as V30. The number means minimum performance speed. U3 or V30 = 30MB/s, V60 = 60MB/s as a minimum performance. This doesn’t mean the camera is capable of sustaining those speeds. What’s the difference between SDHC and SDXC with SD memory cards? – XAVC 4k video use to require SDXC cards only, but now SDHC and SDXC cards work. SDHC is a 32 bit card, SDXC is 64bit. Any card greater than 64GB is SDXC. My memory card is creating corrupt shots what do I do? – You may have to replace the card. Some cards can only last so long and some brands also may have put out a bad batch. My memory card doesn’t work what do I do? – Make sure you always format your card in the camera. Also, make sure you buy your card only from a trusted source. Make sure your connectors on the card are clean and also make sure the connection pins inside the SD card slots in the camera are clean and not damaged. While the Sony A99 II doesn’t have the fastest memory card performance compared to other brands, you can still get some impressive speeds and some really nice performance with the 2GB buffer. You shouldn’t really have any issues in real world shooting unless maybe you’re shooting Uncompressed RAW. I doubt you’ll ever hit your buffer limit shooting compressed RAW and you’ll be able to almost shoot indefinitely with JPEG. You will however need to decide if you want to spend the extra cash on UHS-II cards for the improved transfer speeds. Use code: Griffin to get extra 10% off.